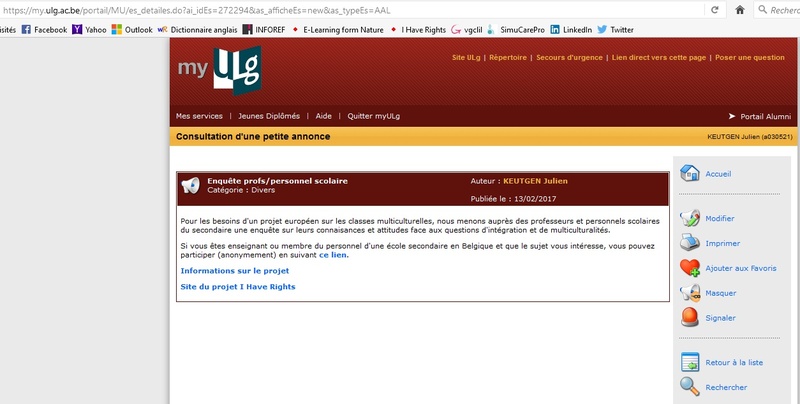 Notice published on the intranet of the University of Liège with a link to the portal, to the project page on Inforef.be and to the teacher questionnaire. The intranet is accessible to all university students, staff and alumni. Large dissemination to a relevant audience.